FOR IMMEDIATE RELEASE – May 9, 2018 – Bohemia, NY – Cerini & Associates, LLP is pleased to announce that Ken Cerini, CPA, Managing Partner, was honored at the inaugural MoXY Awards on Thursday, April 26, 2018. These prestigious awards were presented to men of distinction who have advanced the careers of women. Nominations were submitted by the women who benefitted from the nominee’s tutelage. 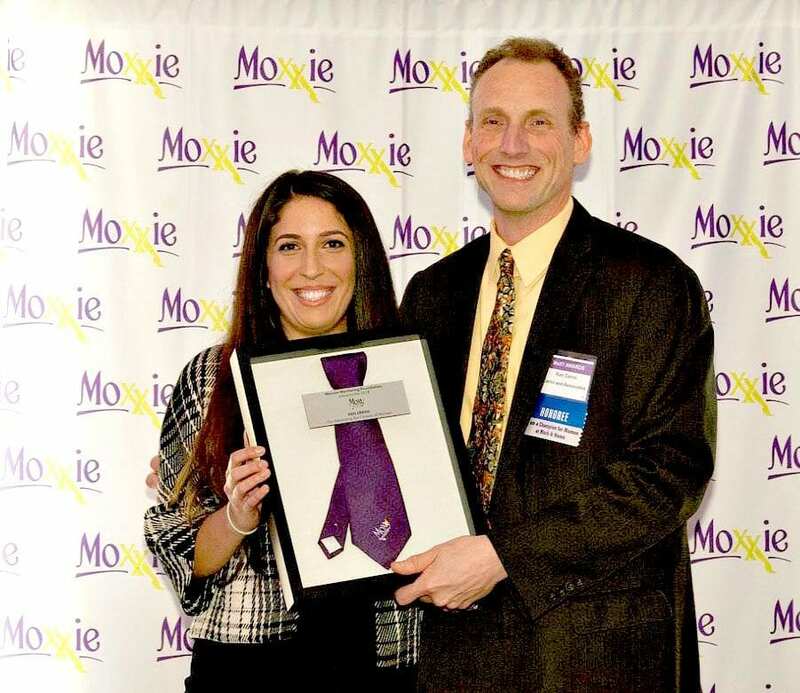 Honorees were presented with Moxxie Mentoring Foundation’s Purple Tie. Steven Aptheker – Law Partner, Lazer Aptheker Rosella & Yedid, P.C. Moxxie Mentoring Foundation’s Founder Beth Meixner stated, “We believe that men play a vital and equally important role in women’s leadership. 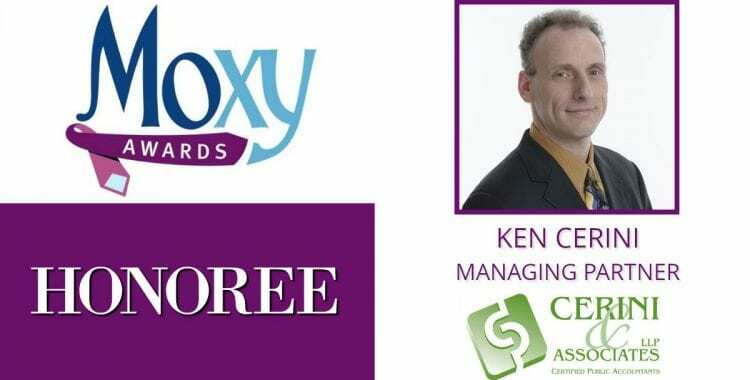 When men and women work together using their innate skills the best outcomes are achieved for organizations.” Through the MoXY Awards, the foundation will welcome men into their community and further the mission of developing future female leaders. The MoXY Awards fundraising luncheon was held at the Mansion at Oyster Bay in Woodbury, New York from 12 Noon – 2:30 PM and included sophisticated networking, awards presentation, exhibitors and raffle baskets. The event attracted nearly 200 senior-level professionals from the corporate, nonprofit, academic, and entrepreneurial fields. Proceeds from the event will help fund Moxxie Mentoring Foundation’s mentoring programs and activities including: Mentor Training, Mentee Orientation, Mentee & Mentor Recruitment, Community Outreach, Program Development & Delivery, Guest Speakers Presentations, Professional Development Workshops with Industry Experts, and On-site Industry Exploration Outings. Cerini & Associates, LLP is a full-service accounting firm celebrating twenty-five years of excellence in leading-edge accounting and auditing services. With nearly fifty employees, four partners, and a foundation built on value-added ideas and integrity, C&A serves many industries, including healthcare, nonprofit, special education, school districts, technology, contractors, and an array of mid-sized businesses (including retailers, manufacturers, distributors, et al.). C&A’s services include, but are not limited to: accounting and auditing; tax compliance and business advisory; tax controversy defense and support; litigation support; mergers and acquisitions; internal audit; and operational and internal control reviews. About Moxxie Mentoring Foundation Inc.